NVIDIA published an in-depth The Elder Scrolls V: Skyrim tweak guide at its GeForce gaming website, you can check it out over here. 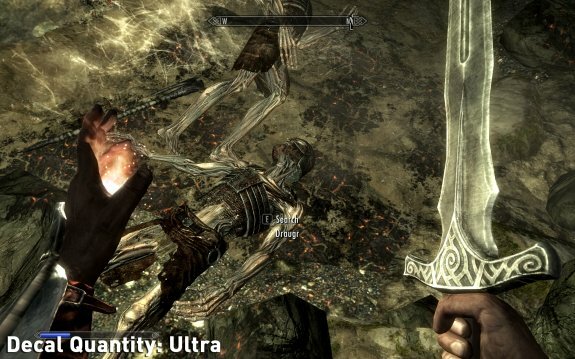 What follows are full descriptions for all of the settings available in Skyrim's options menus. Screenshot comparisons are provided where relevant to highlight the impact on image quality of each setting. Performance information is also provided for every setting, although bear in mind that the precise impact on your particular system depends on your specific hardware combination and and your other game and system-wide settings. The aim here is to give you enough information so that you can make an informed choice as to the settings you enable or disable to obtain a balance of visual quality and performance acceptable to you.